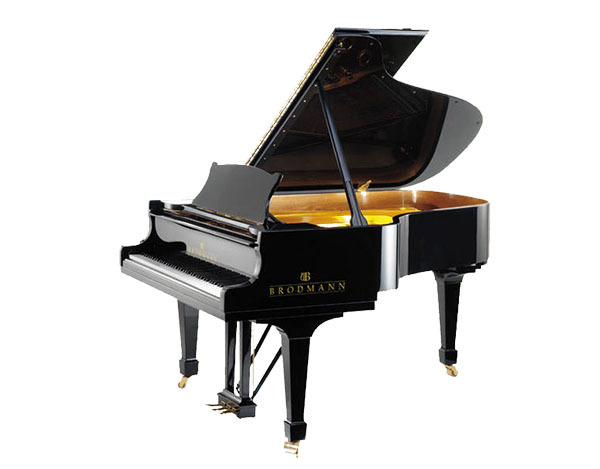 The Brodmann PE 187 Artist Grand Piano is the size selected more often thany any other Brodmann model. It is the preferred instrument for both private and professional teaching at music conservatories and schools. Finished in ebony polish with 7¼ octave (88 keys), 3 pedals (including sostenuto), German scaling with front and rear duplex, English Langer Action, Strunz solid spruce soundboard, and slow close fallboard system. L: 187 cm / 6´2"
W: 154 cm / 5´1"